One of my secret weapon ingredients in the kitchen is just salt. Salt seems like such a simple ingredient, but the salt that I’m talking about is pure, all-natural finishing salt. 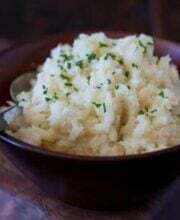 A three-finger pinch is all that’s needed to finish a dish, right before serving. I normally use easier-to-find brand called Malden (you can find it at Sur La Table, Williams Sonoma, Whole Foods, and other high end grocery stores). I love their pyramid-shaped salt flakes, which are so thin, they literally melt in your mouth. We recently tried Falksalt, from Sweden. Like Malden, Falksalt’s crystals are flakey, pyramid shaped. But the similarities end there. 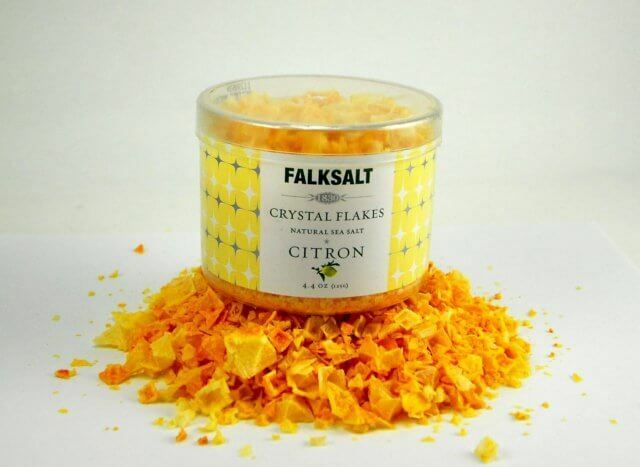 Falksalt’s crystals are harder, more clear (my husband said they look like uncut diamonds), and are shatteringly crunchy-crisp, which provides a beautiful textural experience in each bite. Your fingertips act as the salt grinder. Just take a three-finger pinch of salt, rub and squeeze the salt pyramids and they’ll break apart. 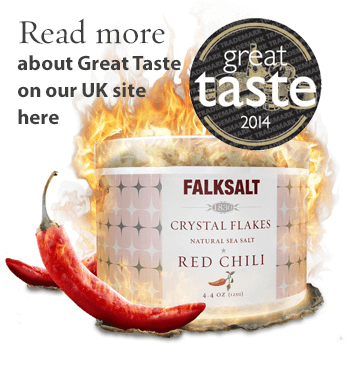 I love that Falksalt creates different flavors, including Rosemary, Red Chili and Smoke. Smoke is great on anything, but especially roasted vegetables. 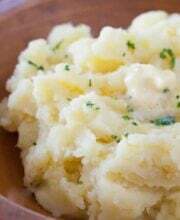 Anytime you need to add a hint of subtle smoke flavor, a pinch of Falksalt goes a long ways. We also tried the Black salt – not my favorite of their selections, as the black isn’t a particular flavor, but made for visual appeal. Crushing the black salt on a white plate was visually striking. Citron was lovely on grilled fish. We also liked crushing it and using the Citron to rim our margarita glasses. Falksalt is giving away a set of 6 Falksalt salts (your choice of flavors).